This an an open letter of sorts to the richest person in Omaha, Nebraska. As of Sept. 30, Berkshire [Hathaway] (Mr. Buffett’s company) was sitting on more than $109 billion in cash, which represents nearly one-fourth of the company’s entire market cap, and the Oracle of Omaha is undoubtedly feeling the pressure to start putting it to work. To be clear, having a massive sum of cash is certainly a good problem to have. It’s certainly better than not having enough cash, or having too much debt. If your response to the above was “Well, duh,” you might be in the 99%. 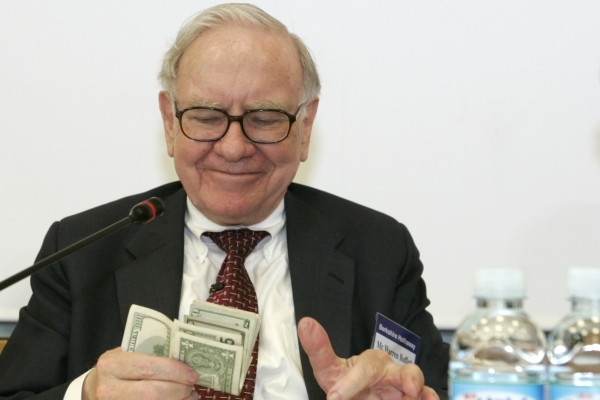 So here’s an open letter to Warren Buffett, “the Oracle of Omaha,” about ways in which he might use some, if not all, of that excess cash he has lying around. You wouldn’t know me because I’m only one of the nameless rabble that those who breathe the rarefied air of the super-rich don’t have much contact with. To help you with perspective on my plight, which is that of millions and millions and millions of people, think of me as someone like your secretary for whom you expressed great sympathy (I understand how it might be difficult for you to experience much in the way of empathy given your life situation vis a vis said secretary). I am a college professor, a job that admittedly raises eyebrows in what some with your financial status whose political views are, shall we say, more strident than yours, find questionable, and by some measures I would be classified as a privileged member of the middle class. I am not sure that I feel that way, but as we both know, uncertainty about money is a worrisome thing, carrying as it does the weight of loss of status, something Americans, despite our claimed equality, feel considerable anxiety about. Anxiety creates opportunity, though, doesn’t it? I am aware that you are one of our greatest philanthropists. So my suggestions to you as to what you might do with that vast amount of excess cash you have “lying around” (or whatever the “billions and billions” equivalent of finding a fiver in a coat pocket is) are based on both your generosity and some of the needs we could both easily identify given the economic inequality overwhelming our country. So here are some ways in which you could use some (not all, of course! I know you have a rule about keeping $20 billion cash on hand) of that loose change ( I know this may come across as poking fun, but we kid those we like, Mr. Buffett, and though billionaires as a class have proven themselves pretty unlikable in the main, you have proven to be an admirable exception). Not all of these will appeal to you, perhaps, but surely you can find something – perhaps multiple somethings – that you find worthy of an investment. Since Motley Fool estimates your cash excess at $109 billion and you prefer to keep 20 billion on hand in cash for your company, Berkshire Hathaway, that leaves only $89 billion available for investment (though if your stock purchase in Pilot/Flying J has gone through that amount will be only $80 billion, still a not inconsiderable sum in my humble estimation). In the vast world market in which you do business that may not seem an extraordinary sum, but let me assure you that for the majority of Americans it’s a mind boggling amount. And invested in the people of this country which has given you the opportunity to become the wealthy man you are, I think you would be able to get both tangible and intangible rewards (those latter rewards are talked about a great deal in my profession where tangible rewards are modest compared to other professional fields). Well, the Trump budget slashes large amounts from agencies such as the EPA, and departments such as the Interior, Education, HHS and HUD. Investing about $20 billion in social nonprofits, and environmental groups that work to protect the environment and help citizens gain decent housing and educational opportunity would both offset these cuts and provide our country with a cleaner environment, preserve national treasures such as our National Parks, and eventually produce a healthier, better educated citizenry, a long term economic boost. An infusion of Berkshire Hathaway capital (a small amount, say,$2-3 billion) into green energy initiatives would both offset Trump’s cuts to these initiatives and foster more rapid development of energy alternatives such as wind and solar power. Such an infusion would create jobs and be beneficial for the environment. Finally, the arts in America are in crisis due to ever increasing budget cuts. Investing even a small (well, small by Berkshire Hathaway standards) amount of money to support state arts councils ($100 million to the arts council of each US state would total $5 billion) would pay cultural dividends and add to the attractiveness of every state for business investors – surely this would be a worthwhile use of money. I could offer a number of other suggestions, Mr. Buffett, but I’ll be respectful of your time. My purpose in writing to you has been to suggest ways in which you might put some of your resources to use in ways that might bring both material gain and civic improvement to our country. Given our nation’s current condition, I am sure that risking the amounts of capital mentioned above may not meet your long established value investment philosophy. But as I’m sure you understand, I’ve been talking about more than mere investments – I’ve been talking about the future of our nation to someone whom I believe can help that future be better for all. Too, your example of investing in these areas might inspire those like you to rethink their investment strategies where our country is concerned. To paraphrase a famous movie quote, help us Mr. Buffett – you might be one of our only hopes.